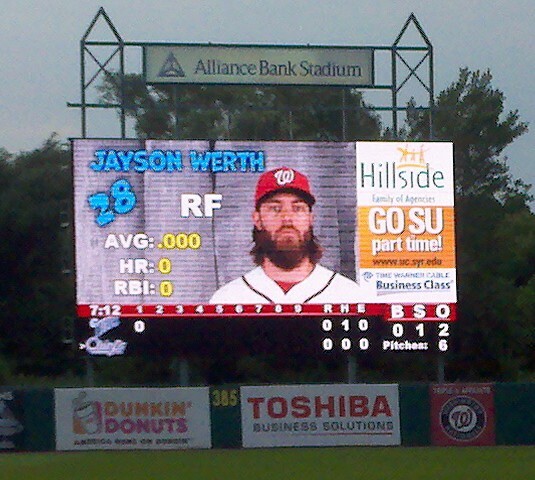 My Appalachian League blog posts are now complete. There are more road trip posts to come, but today the plan is to clear the palate with a guest post. The following post was written by Ben Curtis, a high school junior at North Broward Preparatory School in Coconut Creek, Florida. He is approximately one third of the way toward his goal of visiting every Major and Minor League ballpark in the United States. Today, Ben provides the lowdown on a trip he embarked upon over the summer. The one constant throughout the years has been baseball (thank you, James Earl Jones). 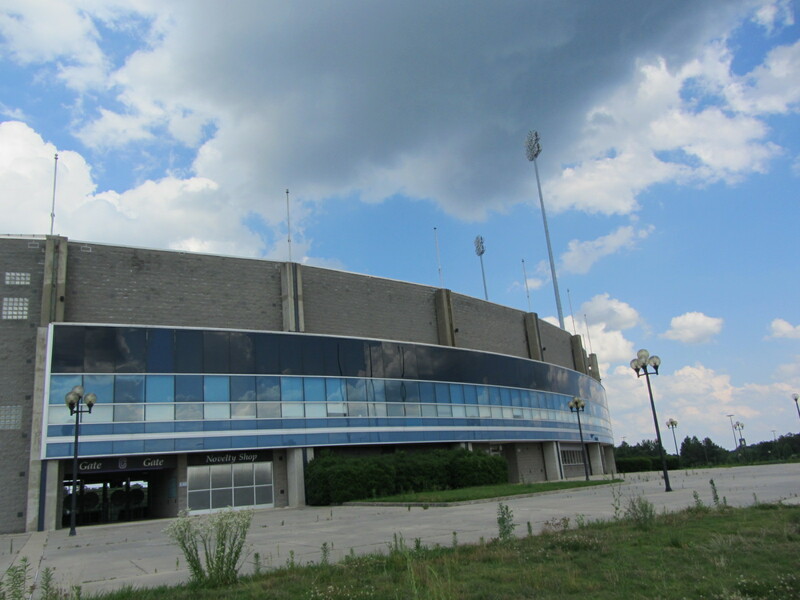 But its 160 Minor League stadiums are different, each with its own design features, neighborhood charm and cultural flair (or, in a few cases, lack thereof). To compare them, there’s only one logical and sane thing to do: Drive 2,750 miles — from the Mississippi River’s southern tip, through the South and back north to the river — to see 12 games in 12 cities in 12 days. So that’s exactly what I did. Warning: Average fans should not attempt. First stop: the Big Easy, sort of. Located in the suburbs, away from the French Quarter excitement of the Crescent City, Zephyr Field was underwhelming. After a rainout the previous night, the skies were still angry and the stands were uncharacteristically empty. I may not have seen Zephyr Field at its finest. I liked: At too many ballparks, an onslaught of advertisements immediately slap you in the face. Zephyr Field properly balances ads with the baseball field’s natural beauty. I didn’t: Save for one concession stand selling crawfish tenders and a single pregame playing of Dave Brubeck’s jazz standard Take 5, the Zephyrs didn’t take advantage of New Orleans’ incredible culture. Day two brought me to the home of the Southern League’s Mobile BayBears. Nearly the entire field-level area was uniquely taken up by suites — a great view for groups and corporate sponsors, but leaving most fans far down the lines or in the second deck. 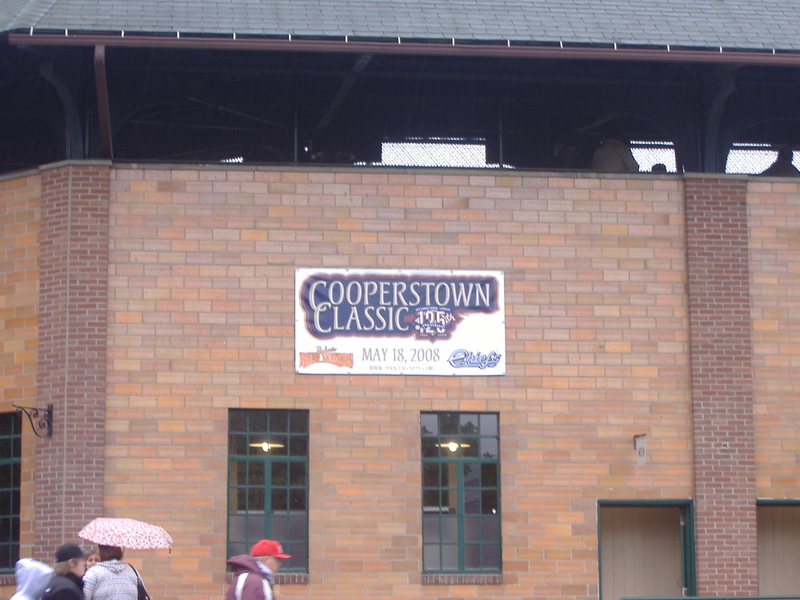 Just outside the right-field concourse was the stadium’s crown jewel, the actual childhood house of the ballpark’s namesake. Removed, relocated and restored from its original spot in Mobile, the whitewashed home includes artifacts from Aaron’s Hall-of-Fame career, including his 715th home run ball. I liked: The radio broadcast played in the concourse, keeping fans connected to the game even outside the seating bowl. I didn’t: Only one main concession stand was open, leading to a massive line all game. Wow. Radio play-by-play broadcaster Curt Bloom welcomed me to, as he put it, the “Taj Mahal of Minor League Baseball.” He was right. Imagine everything good about Minor League ballparks, then combine them in one Double-A setting and you have Regions Field. Three runs in the ninth gave the Barons a walk-off win, punctuating a great night in the Deep South. I liked: Batting cages in right, a hotel in left and interactive activities throughout the concourse created a fun and comfortable experience for everyone. I didn’t: An inconvenient lack of concourse WiFi. A slightly odd baseball experience: Braves game-day staff included cheerleaders, which made for some uncomfortable moments involving the largely male, older crowd of 2,300 boisterous fans. The music was overkill, booming not only between batters and innings, but also within at-bats. I liked: I’m a complete sucker for berms filled with kids chasing foul balls. The ballpark has one down each line. I didn’t: Lexington starting pitcher Emilio Ogando was throwing heat. But without radar, we never could truly tell how hard anyone was throwing. Stars in the Smoky Mountains: Braves prospects Ozzie Albies and 2015 top overall Draft pick Dansby Swanson won, 3-0, over Cubs prospect Ian Happ and rehabbing Major Leaguer Jorge Soler. The fans were fun and genuinely interested in the outcome of the game, something you don’t always get in Double-A. I liked: Rally Llama! A longstanding video tradition of a prancing animal on the scoreboard got the crowd going in the late innings. A classy restaurant and bar down the left-field line, with closed-circuit TV, also enhanced the experience. I didn’t: A canned “Whoo!” sound effect played virtually every other pitch, and the crowd responded with a “Whoo!” of their own. Cool maybe the first five times, but redundant and annoying after. Deep in thoroughbred country, the day-game temperature went through the roof, creating a real summer atmosphere. A seven-run eighth inning, a walk-off homer (my third walk-off in four nights) and an engaged crowd made up for a bland ballpark. I liked: The “porch” area down the right-field line, commonplace at Minor League ballparks, was in the shape of a stable, drawing on the area’s horseracing culture. I didn’t: Timing of the music was completely off, blaring excessively loud before the game, but without any typical mid-game music to keeps fans entertained. A fantastic Major League-level experience. The George Rogers Clark Bridge beyond center field evoked Pittsburgh’s PNC Park, and the beautiful brick-and-iron entrance reminded me of classic ballparks. Meanwhile, speed pitch cages and a left-field berm kept fans in the fun, Minor League spirit. I liked: Sparkling clean. While it may go unnoticed, a clean or dirty facility could make or break a fan’s experience. I didn’t: With Churchill Downs, the Louisville Slugger factory and big-time college sports, Louisville is one of the best sports cities without a Major League team. I would have liked to see more connection to the city. After a perfect Cubs game at Wrigley, I was back in the creative world of Class A ball: A Ferris wheel beyond left field, a mini amusement park down the first-base line and a corn field by the home bullpen — all at a vintage facility overlooking the Mississippi River. Another walk-off win, the fifth of my trip, sent the Iowans home happy. I liked and didn’t: The illuminated Ferris wheel was fun and engaging for little kids and non-baseball fans — but boy were all those blinking lights distracting. In between the eight stops detailed above, I also managed to hit an independent league game in Joliet, Illinois, as well as three Major League games in the Great Lakes region. Sure, the trip was crazy, but it was an incredible experience. And a little crazy. But who cares? You never can have too much baseball. Thanks, Ben. Stay tuned for more from me, another Ben, as I’ve got one more road trip to chronicle. That begins tomorrow. Today’s guest post is courtesy of Michael Lortz, last seen on this blog via his stint as Dunedin Blue Jays Designated Eater. Michael is a consultant and freelance writer from Tampa. He currently writes for TampaBayBaseballMarket.com and has written for various other baseball sites. He is a big fan of Hugh Manatee. In 1972, there were only 1267 manatees in Florida. Today, there are over 6300. Starting in 2017, however, there will be approximately 30 fewer manatees in Brevard County. After 22 years at Space Coast Stadium in Viera, Florida, the Brevard County Manatees are moving west to Kissimmee to be rebranded as the Central Florida “Somethings”. Somethings isn’t really their name, but there is a fan vote to determine between a Magic/Disney-related name or a rodeo-cowboy related name. Either way, they won’t be the Manatees anymore. 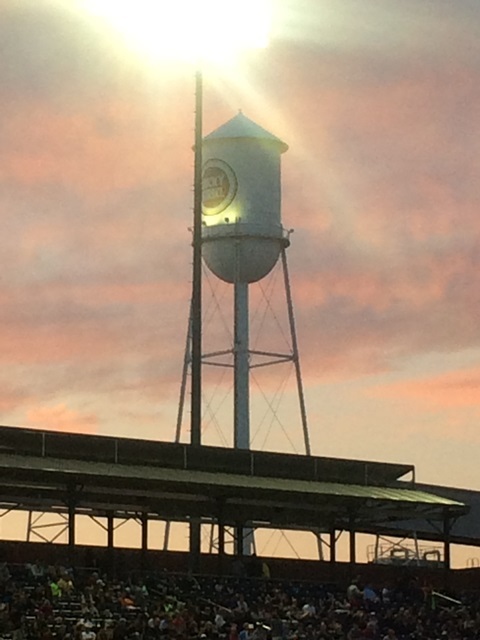 The history of the Florida State League is littered with teams that no longer exist, from the Palatka Azaleas to the Baseball City Royals to the DeLand Sun Caps. The league’s most recent move was after the 2009 season, when the Sarasota Reds became the Bradenton Marauders. Prior to 2009, teams moved from such historic locations as Al Lang Field in St Petersburg and Dodgertown in Vero Beach. And just a few exits north of the Manatees’ current home is the Cocoa Expo, a ghost stadium that once hosted Spring Training for the Houston Astros, who coincidentally also moved to Kissimmee before vacating it for a new shiny home in West Palm Beach. I went to my first Brevard County Manatees game during their inaugural 1994 season. They were the new kids on the block, with the right stuff for the home of the space shuttle. Initially a Marlins affiliate and, later, a Brewers farm team, they frequently featured young talent on the way to the Majors. Players such as Edgar Renteria and Josh Beckett, Ryan Braun and Yovani Gallardo called Space Coast Stadium home. Although I no longer live in Brevard County, I’ve made sure to go to at least one game every year. I’ve gone by myself, with my Dad, and, most recently, with my nephew. Even though he is not the biggest baseball fan, going to a game every year with him has become our thing. He eats hot dogs and runs around; I half-watch a game and get to spend time with him. And somehow, someway, he always ends up going home with a game-used baseball. Admittedly, the Manatees are not moving far – Kissimmee is only about an hour from Viera – but the fact that my hometown no longer has a team hurts. Space Coast Stadium will still be used for tournaments and regional games, but that’s not the same. The Space Coast will no longer be home to Minor League Baseball. My family on my Dad’s side is from Brooklyn, New York. In the late 1950s, when my Dad was a kid, the city went through a horrible time when the Yankees were the only game in town. Citing better financial opportunity, the Dodgers and Giants broke the hearts of millions of fans and relocated to the West Coast. Today, I live in the Tampa Bay area. Every year, Rays fans hear rumors that the team will eventually leave the area for a new stadium in a new city. I write about the Rays’ fan base on various websites and have estimated there are nearly a million Rays fans in Florida. There would be a lot of sad people if the Rays moved. If I’m emotional thinking about the Manatees, how will I deal with the relocation of the Rays? Ever since there has been baseball, teams have moved to greener or more profitable pastures. Baseball is a business and business owners want to position their business where it will make the most profit. Business school taught me that. My family experienced this harsh reality in Brooklyn and now I have to realize it in Brevard County. While I understand, how do I tell my 8-year old nephew that the Manatees are gone? How do I tell him the that team on his first baseball hat is no longer in existence? How do I tell him “Let’s Go Manatees” is no longer a chant that means anything to anyone but us? Thanks, Mike, for your insight. Regularly-scheduled Ben’s Biz Blog programming will resume tomorrow. In the meantime, my posts covering my 2015 visit to Brevard County can be read HERE. Jae Canetti is an eighth-grade student and an avid baseball fan from the Washington, D.C. area. Next year, he will be attending Thomas Jefferson High School for Science and Technology, where he hopes to play baseball for the Colonials and study astrophysics. On March 18, 2016, after months of counting down to my family’s long-planned trip to Spring Training in Florida, I woke up to my dad blasting “Centerfield” by John Fogerty in my ear and dancing around like Christmas had come early. With the song playing on repeat, my parents and I packed everything up, hopped into our Honda and set out down I-95. We were greeted at the Florida Welcome Center by free orange juice and a giant banner advertising Spring Training as one of Florida’s main attractions. An entire corner of the building was filled with brochures about spring baseball and decorated with pennants for each of the 15 Major League teams that make up the Grapefruit League. Our itinerary took us to seven Spring Training facilities over the span of a week. We began at Champion Field in Disney World, where we saw the Braves host Miguel Cabrera and the Detroit Tigers. Before the game, we were treated to the sight of a laid-back Miggy taking infield practice while appearing to urge the Tigers coaches not to hit those grounders at him too hard. We also ventured over to the Braves’ minor league complex behind the stadium where I, a Minor League Baseball fanatic, sought out and found some of the team’s top prospects. I obtained autographs from Ozzie Albies and Touki Toussaint, the Braves’ #3 and #6 prospects, respectively. Most exciting for me, however, was my conversation with Dansby Swanson, the Braves’ top prospect (the #8 overall prospect in Major League Baseball) and last year’s first overall draft pick. He and Trey Keegan, a catcher in the Braves organization, were nice enough to take a picture with me, even though I was wearing some of my Tigers gear from Little League. Meeting and talking to these two guys was a highlight of my trip and I can’t thank them enough. We then launched ourselves to Space Coast Stadium, where the Nationals were ending their final spring before leaving Viera for a new home in West Palm Beach. As Nationals devotees, my father and I came to the park determined to buy Nationals hats with the 2016 Spring Training patch on the side. As a cap collector, this purchase was at the top my trip agenda. The hats were flying off of the shelves, but we managed to grab a pair. Sporting our new caps, we watched one of the last games that the Nationals would ever play in Viera. They won it on the strength of a home run by Wilson Ramos and a two-run double by Ryan Zimmerman. Due to some pre-trip confusion, we scheduled our next stopover at the Mets’ Spring Training home in Port St. Lucie on a day when they were playing in Tampa (oops). Having made this realization, we rejiggered our plans and used this location as our jumping-off point to Roger Dean Stadium in Jupiter. My dad had purchased special tickets that allowed us to enter an hour before the gates usually opened to watch batting practice, and what we saw when we got to the gates was shocking. Roger Dean Stadium is shared by the St. Louis Cardinals and the Miami Marlins, who happened to be playing each other that day. We came to the park expecting a somewhat equal balance of Marlins and Cards fans. Instead, we were greeted at the gates by a sea of Cardinals red. The entire stadium was filled with the Cardinals faithful, and not a Marlins fan was anywhere to be seen. Marlins fans, your team plays here too. To make things worse, the Cards were designated as the “home team” that day, meaning that even the PA announcer was on the Cardinals’ side. Our seats for this game were… well… not seats. The game sold out long before we arrived in Jupiter — apparently to Cardinals fans exclusively — so the only remaining tickets were standing-room-only. My dad and I chose the section along the left field line near the Marlins’ bullpen. If you’re one of those people who buys a standing-room-only ticket and then sneaks behind home plate in the fourth inning while the usher isn’t looking (you know who you are … I tried), Cardinals games at Roger Dean Stadium are not for you. At most of the Spring Training games we attended, there was a steady flow of people exiting the stadium by the eighth inning or so. However, at this game, the only people I saw leaving before the last out were two poor Marlins fans (the only ones there) who got kicked out of the stadium for heckling their own team. I knew that the Cardinals may have the most dedicated fan base in baseball, but these fans took Spring Training to a whole new level. Long story short: If you want a seat for a Cardinals game at Roger Dean Stadium, buy a ticket. Early. Back in Port St. Lucie, we found a batting cage near our hotel. I wanted to take some swings to prepare for my own baseball season. After a few sessions in the cage, a young man asked us how to operate the payment system. After engaging in a short conversation with him, we discovered that we were talking to Christian Montgomery, a New York Mets prospect who will begin this season pitching for Double-A Binghamton. This was my second time talking to professional ballplayers in three days. Talk about getting lucky. My elation dimmed upon returning to the hotel when we discovered that the Red Sox game we planned to attend the next day in Fort Myers was also sold out. Even standing-room-only tickets were gone. Apparently, Red Sox fans give Cardinals fans a run for their money in Spring Training enthusiasm. We still had to drive to Fort Myers because we had hotel reservations there. However, we were now free to take a detour half a mile up the road to Tradition Field, which the Mets open to the public at no charge from 9:30 until 11:30 each morning. While there, we watched David Wright, Jacob deGrom, Noah Syndergaard, Steven Matz, Bartolo Colon, Curtis Granderson and Yoenis Cespedes go through their morning routines. Manager Terry Collins even wandered over to the fence, spoke to fans, and autographed a ball for me. After about an hour, we had to leave for Fort Myers on the west coast of Florida. Although there was no way we could get into the Red Sox game, we found out that there were two Minor League games being played at the training complex behind the stadium and decided that we could not pass up the chance to see one of the nicest facilities in the Grapefruit League. My dad and I ended up watching a game between the Greenville Drive (Class A Red Sox affiliate) and the Delmarva Shorebirds (Class A Baltimore Orioles). As we watched, we heard loud cheers and the famous singing of “Sweet Caroline” coming from inside JetBlue Park as the big league game wound down. Outside, it began to rain in the late innings of the Minor League games that were taking place. After a considerable downpour, the coaches got together and spontaneously called the games off. As a 10-year veteran of Little League Baseball, I can tell you that this was eerily familiar to me. 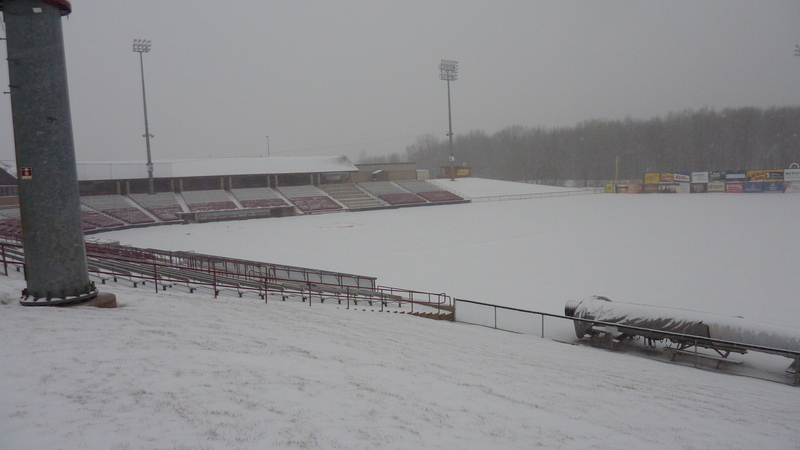 I have had numerous games unceremoniously ended due to weather, never to be completed or rescheduled. Some things never change, do they? But this was not the end of that day’s excitement. Earlier, one of the Orioles’ Minor Leaguers chipped his bat. As he walked past me on the way back to the clubhouse, I stopped him and asked him if he needed it. He was incredibly friendly, gave me the broken bat and even signed it. Many thanks to Alejandro Juvier. Your bat is a fantastic souvenir that now has a home in front of my bed. After Fort Myers, we turned north toward Sarasota to see the Orioles play the Yankees at Ed Smith Stadium. Before the game, we met up with former neighbors who moved to Sarasota last summer. This was fun in and of itself, but as an additional surprise our friends had arranged for us to visit the home of their new friends Fernando and Kristi Cuza. Mr. Cuza is a leading agent for Latin players — including many household names — and they invited us to tour their memorabilia room. My jaw dropped at the sight of the collection. I would say that the Cuzas’ assortment of memorabilia easily rivals a gallery in the National Baseball Hall of Fame (and I’ve been there — twice). Mrs. Cuza was very gracious with her time and shared many insights into her and her husband’s baseball experiences. But the Cuzas’ generosity didn’t stop there. Mr. Cuza gave me a baseball autographed by Miguel Cabrera! We then made our way to Ed Smith Stadium, where we witnessed an absolute slugfest. The Orioles hit four home runs and the Yankees slammed two, on top of a few hard-hit doubles. We watched those baseballs fly out of the stadium from what I believe was the best standing-room-only view out of all of the parks we visited. Our final day found us unexpectedly attending a game between the Philadelphia Phillies and Detroit Tigers at the Phillies’ home park of Bright House Field in Clearwater. We originally planned to attend a Blue Jays game in Dunedin, but that game sold out (again). By going to this game, however, we completed an unintentional tour of every National League East camp. The game turned out to be entertaining, with a late-inning Tigers comeback to rob the Phillies of a win. More importantly, we witnessed Justin Verlander’s hilarious bunt and walk to first base that later went viral. If you missed it, Verlander laid down a bunt with two strikes against him and then proceeded to take about two slow steps toward first before being thrown out. As he veered off toward the Tigers’ dugout, all of the fans on that side of the stadium let loose with a barrage of light-hearted jeers, to which Verlander responded with an elegant doffing of his helmet. The final out of that game marked the conclusion of our time in Florida. Over the following days, we drove back home with a new (broken) bat, several autographed baseballs, an assortment of Spring Training gear and a week of memories that will last a lifetime. I can’t wait to see what the regular season holds. Go Nationals! Thanks to Jae for contributing this post, which, not surprisingly, contains no spelling errors. If you find yourself intrigued by the idea of contributing a guest blog post, then get in touch. It’s time for another installment of “Why I Love,” in which Minor League fans explain what they love about their favorite team and why. 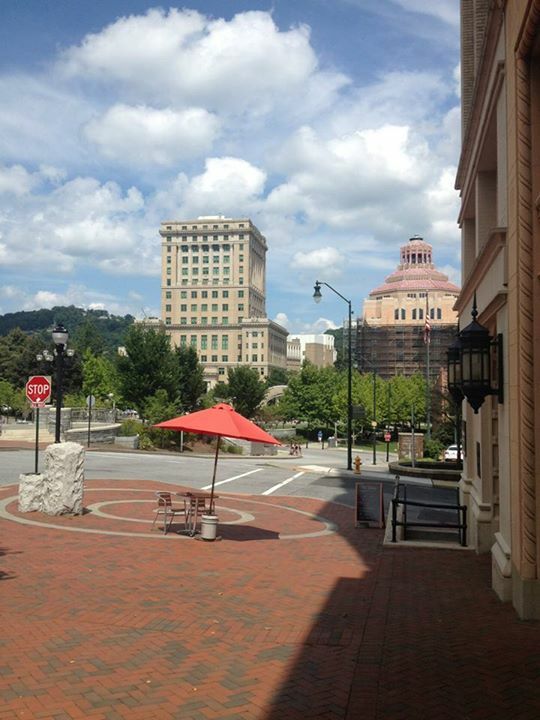 Today’s guest writer is Michael James, who lived in Asheville in the summer of 2012 and quickly became enamored with the Tourists and their home of McCormick Park. James is now based in Baltimore; his travel blog can be found HERE. I first experienced one of the coziest stadiums in all of professional baseball during the summer of 2012, when I arrived in town as a curatorial intern at the Asheville Art Museum. Soon, I found myself making the quick drive to McCormick Field on a daily basis, seeing the likes of Trevor Story, Taylor Featherston, Sam Mende, and Will Swanner bludgeon the baseball night after night while getting just enough pitching — led by Tyler Anderson — to produce an overall 88-52 record. This memorable regular season campaign was punctuated by a South Atlantic League championship over the Greensboro Grasshoppers. Managed by the fiery, infamous Joe Mikulik, that team set numerous offensive records, batting .278 and ripping 127 home runs and 335 doubles over their 140-game regular season. The Tourists’ offensive numbers were inflated by the extremely hitter-friendly dimensions of McCormick Field – just 297 feet to right and 373 feet to center. Lazy fly balls hit to right would either clear the 36-foot high wall, which is cut into a hillside that serves as the parking lot for players and fans alike, or bounce high off the fence for a double. Hard-hit shots that would be doubles in almost every other park would become singles due to the short throw back to second base for right fielders, who routinely played near the warning track. In the Colorado Rockies’ farm system, numerous players have put up huge numbers during their stints in Asheville. A truer test of those players’ abilities has usually come the next season, while playing for Modesto in the Class A Advanced California League. Behind the visitors dugout on the third base line. I went back to Asheville for a weekend last July and took in two more games at McCormick Field, bringing my total to 28 games there over the two and a half months I’ve spent in that city in total. The 2014 team would again go on to win the South Atlantic League title, posting a superior 89-49 record, including a 43-26 mark at home. I was in attendance for Games Three and Four of their championship series in Hagerstown against the Suns, though, to my extreme annoyance, I was not able to make it to the decisive Game Five. That team featured some of the system’s top prospects, including Ryan McMahon, Raimel Tapia, Correlle Prime, and Antonio Senzatela. I loved seeing the Tourists so much that now, as I currently live in Baltimore, I went to watch them on the road in Lakewood, New Jersey, as well as Hagerstown and Salisbury (home of the Delmarva Shorebirds), both in Maryland. I’ve now visited six of the 14 South Atlantic League stadiums, all in my support of the Tourists. The baseball itself is one thing. It’s a major thing. More than that, though, it’s the overall experience that keeps me coming back. It is a difficult thing to convey in words, even for someone who prides himself on his writing, the feeling that one gets when taking in a game on a warm summer’s night. Is there anything better than spending three hours in the fresh air enjoying cheap nachos and even cheaper beer amongst like-minded fans, who are all there to enjoy the fellowship and camaraderie of the ballpark? It’s the entertainment and smiles produced by the PA announcer, Rick Rice. Asheville has one of the best in the business in Rice, whose humor and wit makes every between-inning promotion and on-field game a sight to behold. It’s the way the Tourists’ Spirit Squad gets the crowd on its feet to perform “YMCA” during the seventh-inning stretch. It’s the way the Tourists’ mascot, Mr. Moon, constantly engages the youngest fans and makes them jump up and down and run through the aisles to give him a hug. It’s the way every usher at McCormick Field would work feverishly to towel off the bleachers after one of Asheville’s notorious summer rain showers, and the way every ticket-taker treated fans with kindness and genuinely asked each one of them how they were doing, wishing them a good time at the game. It’s the way I sat behind the Tourists’ entire front office at Municipal Stadium in Hagerstown last September, after they made the 453-mile trek up I-81 from Asheville. Right next to the visitors’ dugout on the third base line, players and staff interacted with each other so warmly. It’s the way Correlle Prime signed every autograph, flashing his huge smile and laughing with opposing fans. That, to me, is the beauty of baseball. No other sport allows you this daily interaction, this sense of community and togetherness that is fostered night in and night out from April to September. Has it helped that the Asheville Tourists have been great during the two seasons I’ve been able to watch them? Of course. Everyone loves a winning team. 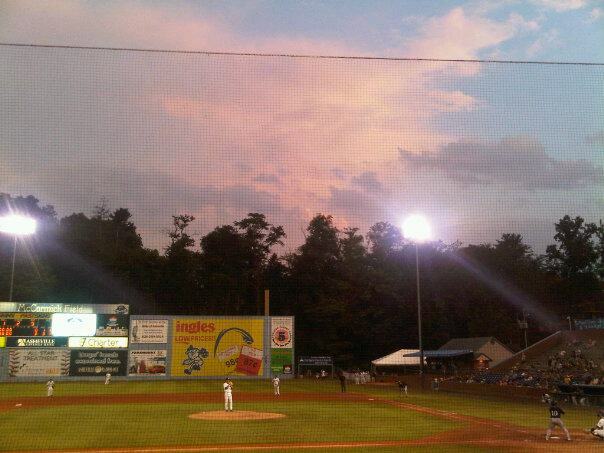 But McCormick Field is so beautiful, and Asheville is such a great town, that it would be a privilege to spend three hours every summer night there to watch the 2003 Detroit Tigers. I urge everyone to visit McCormick Field at some point. It made a cameo appearance in Bull Durham. It has hosted the “Sultan of Swat.” Its venerable history more than makes up for whatever it may lack in modern and cutting-edge amenities. Go on a Thursday night – it is the original home of “Thirsty Thursdays,” a promotion many teams have emulated over the years. Your experience there will be one you remember; I can assure you that. Thanks to Michael for taking the time to write this and, again: If YOU would like to submit a post for this series, then send an email to the address below. 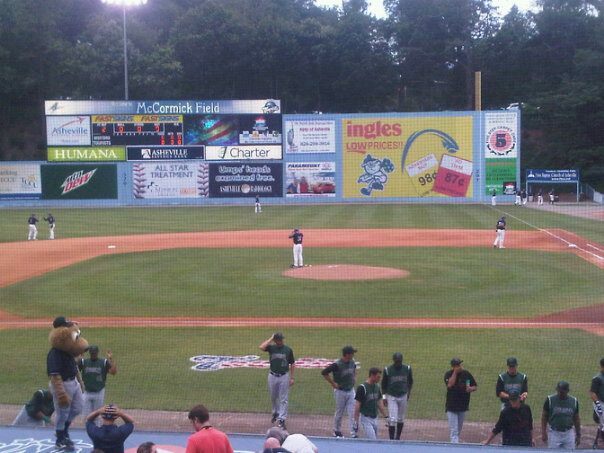 In the meantime, here is my 2013 blog account of my visit to McCormick Field (one of my Top 10 favorite ballparks): Part One/Part Two. It’s time for another installment of “Why I Love,” in which Minor League fans explain what it is they love about their favorite team and why. Today’s guest writer is Brittany Callahan, who has spent countless hours at the Mobile BayBears’ home of Hank Aaron Stadium. Her father, Mike, spent 13 seasons as the team’s assistant general manager. What is your first thought when I mention the city of Mobile, Alabama? The home of Mardi Gras? Maybe. White sand beaches? Possibly. College football dominance? Probably. Baseball, most likely, is absent from your list. But what is surprising to many, however, is that Mobile has played a huge role in baseball history. Outside of New York and Los Angeles, Mobile claims more Hall of Famers (five) than any other city in America. Those Hall of Famers — Hank Aaron, Willie McCovey, Satchel Paige, Ozzie Smith and Billy Williams — play a large role in making Mobile one of the most storied cities for baseball in the country. 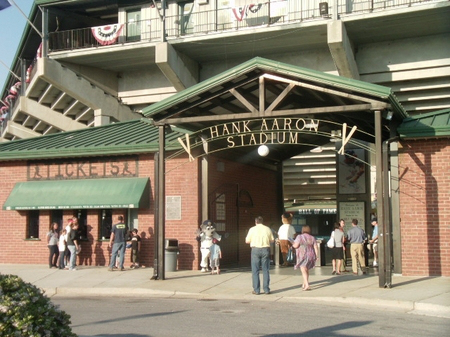 Mobile’s rich baseball history can be seen before you even enter Hank Aaron Stadium, which the Baybears — Double-A affiliate of the Arizona Diamondbacks — have called home for eighteen years. In the shadows of the stadium sits Hank Aaron’s Childhood Home and Museum. Yes, you read that correctly. Partnering with the Baseball Hall of Fame in Cooperstown and Major League Baseball, a few select BayBears staffers relocated the home that Mr. Aaron and his siblings grew up in, from its original location just a few miles away to the stadium grounds. 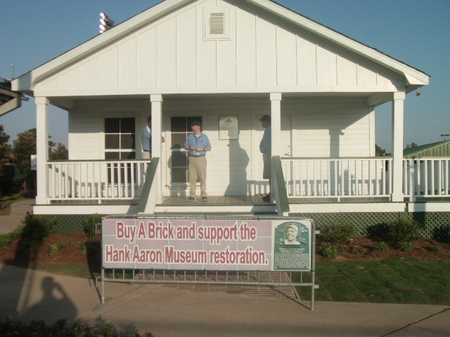 Upon relocating, it was transformed into a museum which houses artifacts from the Aaron family as well as mementos from Hank’s journey from childhood to Home Run King. For those who want to see this remarkable piece of Mobile baseball history, tours are available before and during games as well as in the offseason. The BayBears continue Mobile’s tradition of excellence by being perennial playoff contenders, with many of their alumni making an impact in the Major Leagues. The BayBears were originally the Double-A affiliate of the San Diego Padres and, during that time, they won two Southern League championships. They also sent players such as Jake Peavy (who calls Mobile home), Josh Barfield, Jason Bay and Adam Eaton to “The Show.” In 2007, the BayBears switched their affiliation to the Arizona Diamondbacks, going on to to win back-to-back Southern League championships in 2011 and 2012. They advanced to the championship series again in 2013, attempting to earn a three-peat (something that had only been done once before in the league) but ultimately lost in the decisive fifth game. 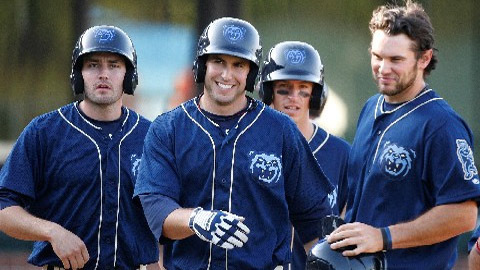 Some recognizable BayBears to have debuted in the Majors since 2007 include Max Scherzer, Justin Upton, Carlos Gonzalez, Gerrardo Parra, Mark Reynolds and Paul Goldschmidt. With the recent addition of baseball legends such as Tony LaRussa, Luis Gonzalez and Randy Johnson to the Arizona Diamondbacks staff, it is not uncommon to see these famous faces walking the concourse of Hank Aaron Stadium to scout their players and coaches. Mr. Hank Aaron has even sat within his namesake stadium to take in a few ballgames while visiting his hometown. Mobile has been a hotbed for baseball, and notable baseball players, for decades. 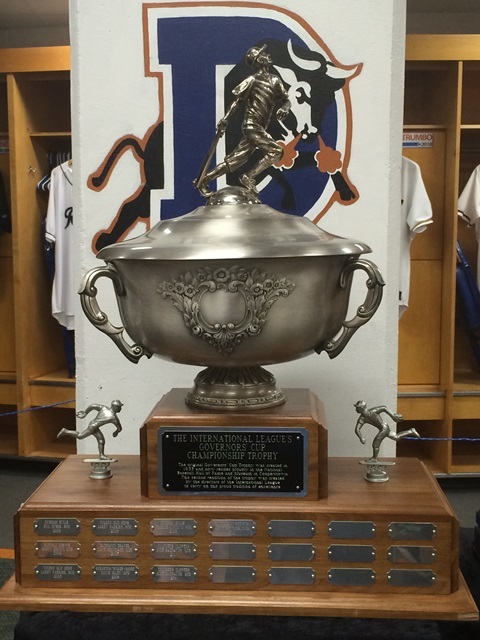 Now, the BayBears have taken the reigns in leading the sport into the 21st century. I would be hard pressed to think of another Minor League stadium in the country where you can catch future Major League standouts in the hunt for another championship while bumping into Hall of Famers and (in my opinion) a man who can still claim to be the all-time Home Run King. Go BayBears! Thanks to Brittany for taking the time to write this and, again: If YOU would like to submit a post for this series, then send an email to the address below. In the meantime, here’s my 2010 article on the opening of the Hank Aaron Childhood Home and Museum. Despite what the tourist brochures may tell you, Charleston, South Carolina, is largely a screen for the projection of history. Little could be said to still happen there. The city has stepped outside of the flow of time, as intentionally anachronistic horse-and-carriages echo down streets that are hardly large enough to accommodate the late-model sports cars owned by the men and women who fly back twice a year to take in a bit of salt air from meticulously reproduced antebellum verandas. As someone who left Charleston to go to school in the mid-’90s, I return home to find that others have moved in, knocked out the walls and rearranged the furniture. Everywhere, that is, with the exception of the ballpark. 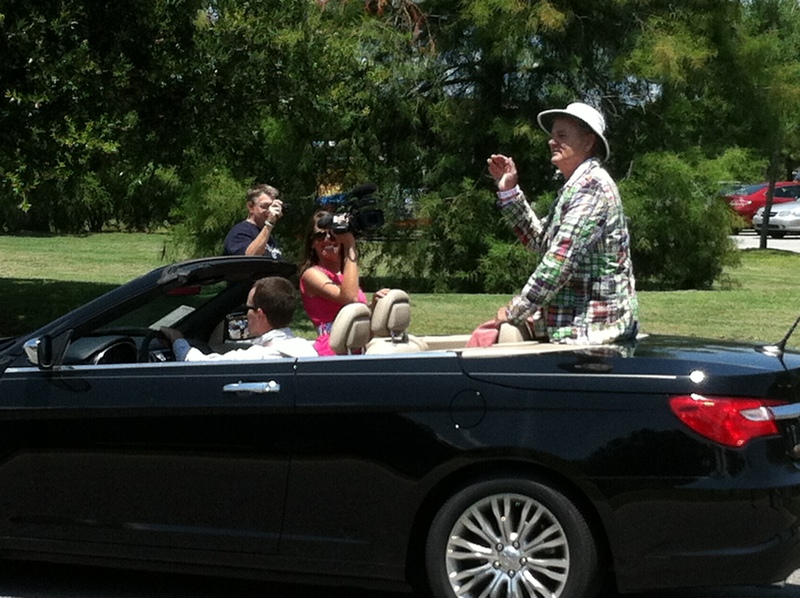 Bill Murray (yes, THAT Bill Murray, a.k.a. the RiverDogs’ Director of Fun) and the rest of the Goldklang Group brought changes to the team, but as much as possible they have really left things the same. That’s why I love the RiverDogs. The narrator of Louis D. Rubin Jr.’s 1979 short story about Charleston baseball in the 1930s spends his time in-between innings observing a little train over the outfield fence at College Park, one of the oldest Minor League parks in the country and the RiverDogs’ original home. He tries to catch it coming or going, but never can. He looks up and it’s there, or looks up and it’s gone. The train is either at the station or it isn’t. The train never moves or changes, but it does. It’s an apt metaphor for the team. In my lifetime, the abstraction otherwise known as the Charleston baseball club has had several names: Patriots, Pirates, Royals, Rainbows and RiverDogs. Before that, the club was known as the Rebels, the Palmettos and the Quakers. Pro baseball in the city was founded in 1886 by two teams: a member of the Southern League of Colored Baseballists called the Fultons; and a Southern Association team known as the Seagulls. Unlike most teams then, the genealogy of the Riverdogs doesn’t lead us back to a single man or single team, but to the segregated legacy of the Jim Crow South that, through baseball, results in a kind of unity. 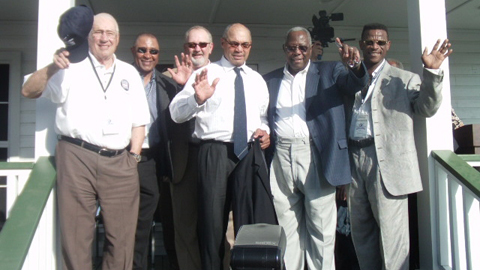 White and black, they’re all founding fathers of Charleston baseball. 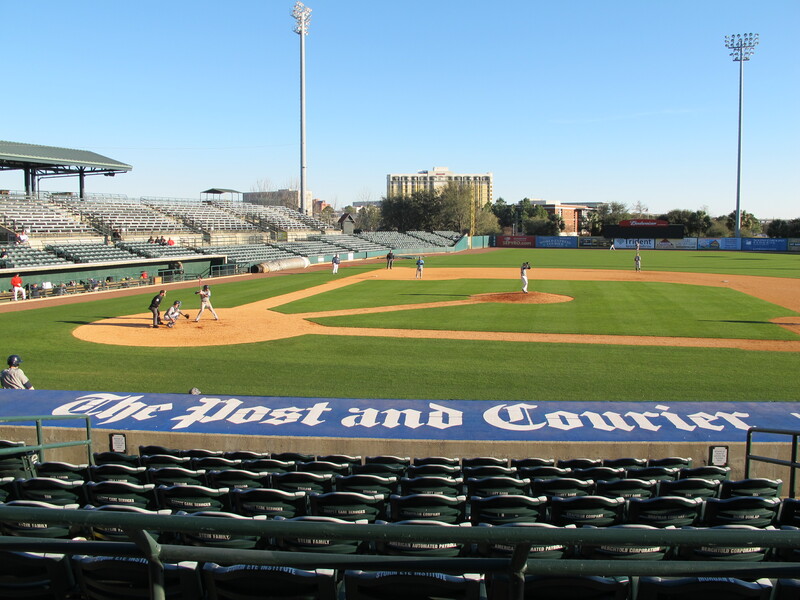 The RiverDogs play at Joe Riley Park, shortened by most fans to “The Joe.” Built in 1997, it’s among the new wave of parks whose architects, taking a cue from Baltimore’s Camden Yards, wove the park into the city. 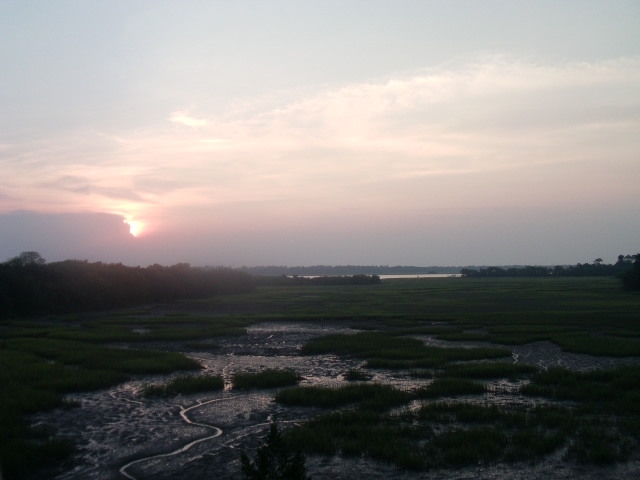 From the backside you can look out over the marsh leading onto the Ashley River with Citadel faculty housing tucked beneath a few oak trees on the shore off to the right. The outfield fence is lined with trees hiding the river just beyond with a tall building or two finishing out a modest skyline. 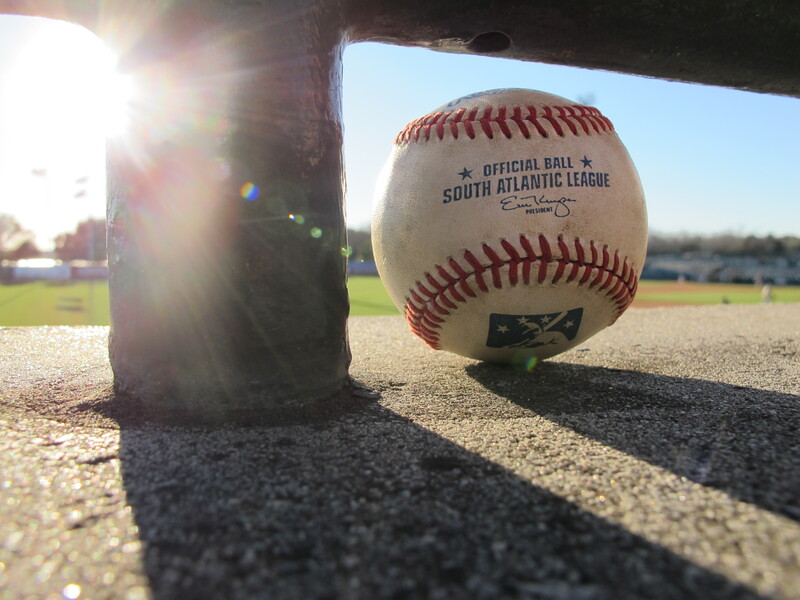 While the RiverDogs go to great lengths to capture the attention of the casual fan, the team has etched South Carolina’s baseball history into the park itself. Camden’s own Larry Doby has his number 14 retired out on the centerfield wall, the forlorn hero of Pickens County, Shoeless Joe Jackson, has a small beach named for him just beyond the right field foul line and there is a “Scouts Hall of Fame” located along the main concourse. 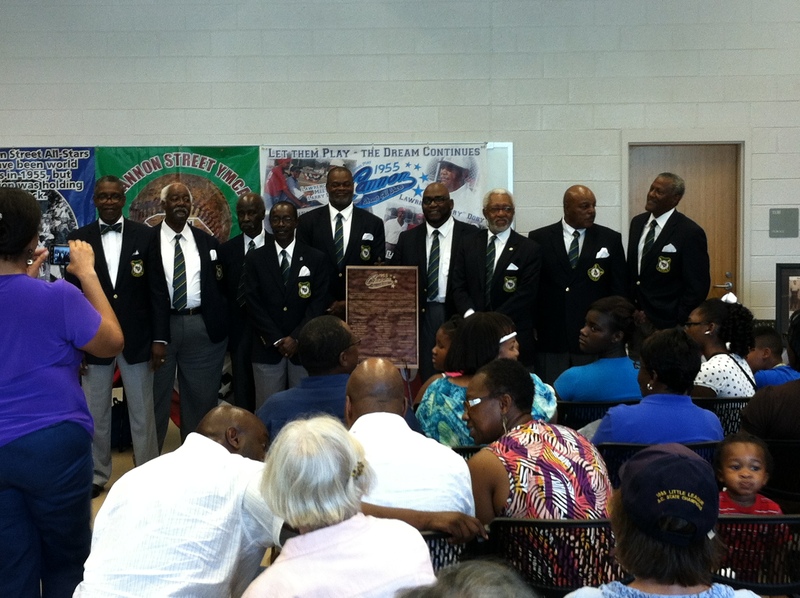 Every year, during “Larry Doby Heritage Weekend,” the team hosts members of the Cannon Street All-Stars, an all-African-American Little League team from Charleston who, in 1955, were denied the opportunity to play in the Little League World Series because they’d won all of their games in the segregated South by forfeit. Before they were a Yankees affiliate, the RiverDogs were one of the original franchises associated with my favorite team, the Tampa Bay Rays, which means I cheer for certain “Yankees as Riverdogs” while still hoping that New York’s American League baseballers finish somewhere north of 100 losses. After all, while they come and go and by definition are trying to get somewhere else, it’s the players who make the Charleston experience meaningful. Hall of Famers, all-time greats and MVPs have played with the Charleston club, and their names are easy enough to find. 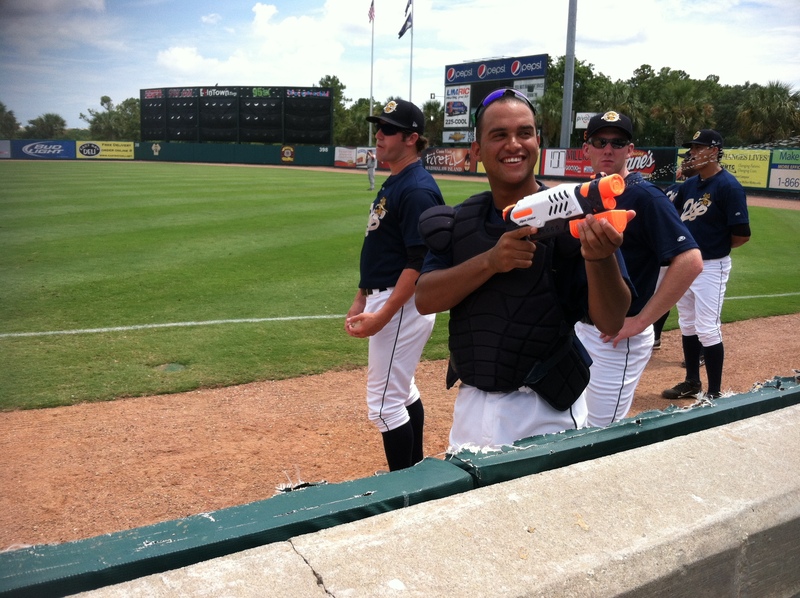 I’m a big fan of former RiverDogs catcher Francisco Arcia, who, during a “kids day at the (water)park” a few summers ago, walked around the bullpen area with a Super Soaker hosing down everything within 100 feet of him. 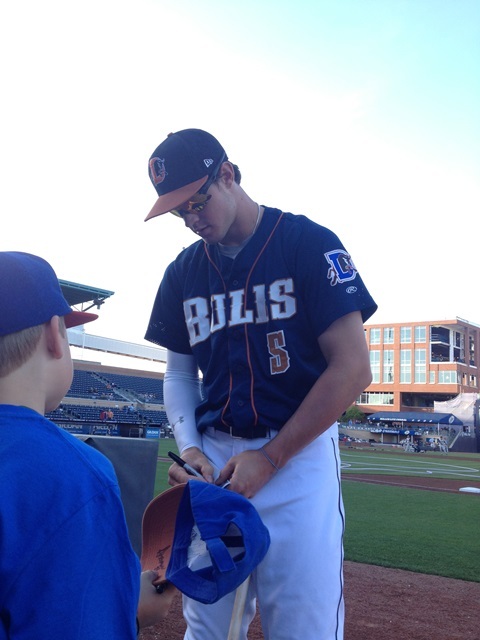 Dante Bichette, Jr. once impressed me with his knowledge of vintage minor league uniforms (I was sporting a Durham Bulls jersey from the mid-1990s signed by former RiverDog and Bull Elliot Johnson). I particularly enjoy talking smack to players in Spanish, and I’ll forever remember the pitcher (name withheld) who turned around to me in the middle of a game and asked me bluntly, “Y tú, ¿quién eres?” My scorecard from that game notes that this conversation lasted from two outs in the top of the fourth until the seventh inning stretch. My favorite Charleston ballplayer of all-time is the late Tom Saffell. His best memory of playing in Charleston occurred during the 1946 season, while running from first base to second on a routine ground ball. The shortstop, having made the pivot and overanxious to get the runner going to first, drilled Saffell, who was trying to break up the double play in the usual way, square in the head. This happened twice in the same game. There should be a plaque somewhere in the park to honor Saffell and the bungled routines that make life memorable. Players present constantly intersect with players past, and you get the impression that if you could read them correctly, 30-year-old scorecards and discarded tidbits from the news would reveal tomorrow’s starting lineup. Walt “No Neck” Williams managed the Rainbows, so it’s unsurprising that Mason Williams, his nephew, would one day turn up in the RiverDogs outfield. Rob Refsynder had a few choice words for University of South Carolina fans after his Arizona team defeated USC in the 2012 College World Series, so naturally Charleston was his first stop after the Yankees drafted him. If L.J. Mazzilli is starting for the visiting Sand Gnats, expect Lee Mazzilli to materialize in the park. When Dante Bichette, Jr. was with the team, you could look up during the inevitable late August thunderstorm rain delays and find Dante Bichette, Sr. seated two rows up from you, eating a hot dog, drinking a Diet Coke and waiting out the rain with the rest of us who never played an inning beyond Little League. During the South Atlantic League All-Star Game festivities that were held in Charleston in 2012, I had a chance to speak with the Director of Fun himself. He told me that slip-and-sliding on a tarped field during a rain delay is the best thing in the world, and that if I ever got the chance I should go for it. In honor of Rubin, Saffell, and Arcia, and Cannon Street, and the Fultons and the Seagulls, the next time I’m in Charleston I’ll take him up on it, if only to tell the cops who arrest me, “With God as my witness, Bill Murray told me it was all good.” Because it’s better than good, and it’ll always be home. That’s why I love the Charleston RiverDogs. Thanks to Paul for taking the time to write this and, again: If YOU would like to submit a post for this series, then send an email to the address below. 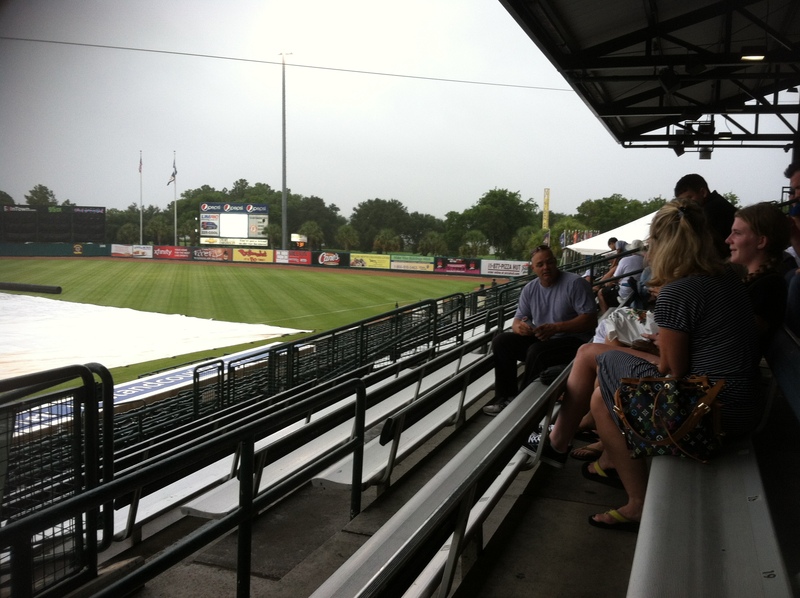 In the meantime, here’s my 2011 “On the Road” post detailing my Charleston RiverDogs experience. It’s time for another installment of “Why I Love,” in which Minor League fans explains what it is they love about their favorite team, and why. Today’s guest writer is Jared Wicks, a Syracuse resident who, over the past decade, has become an ardent supporter of his hometown Chiefs. Growing up in Syracuse, New York, I was taught that there were two teams to root for: Syracuse University basketball and Syracuse University football. If you insisted on watching baseball, then there were New York Yankees games on TV. I was also taught that my family’s income level would only permit attending a few sporting events each season, and always in the upper, upper deck. In my youth I was familiar with the Chiefs. But, like many people in the area, I never thought much of them. That changed during the 2004 season, when I was 17. I received some free tickets from my sister, so my friends and I decided to head to the ballpark. Why not? The list of things to do in the area on a minimum wage budget were few and far between. 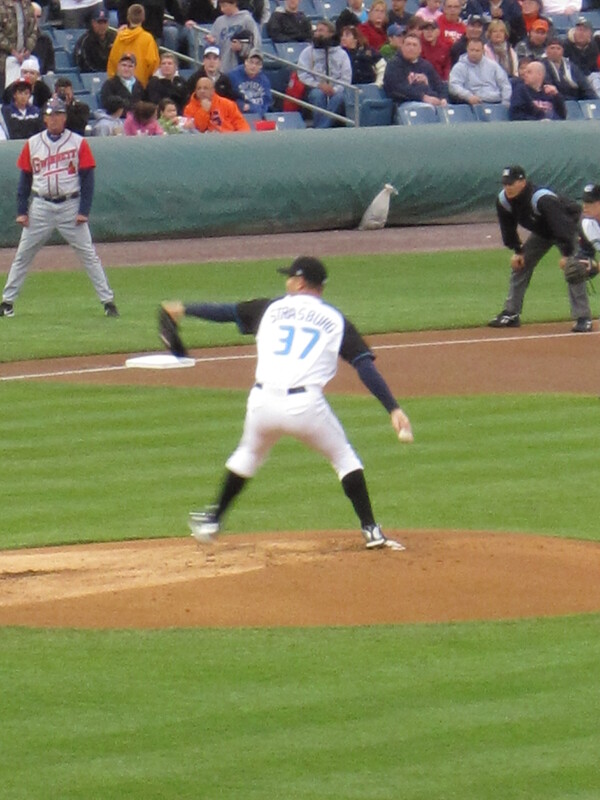 That night, after the seventh inning, my friends and I sneaked down to the lower level seats and watched a man named Russ Adams play for Syracuse. He made an impression on us, largely because of the PA announcer’s introduction of “Ruuuussss Ad-dams.” Then, just a few days later, my friends and I were at a local sports bar watching the Toronto Blue Jays play against the New York Yankees. Up to plate came a man whom I had recently been just a few feet away from. Yes, Mr. Ruuuuussss Ad-dams. In all the time I’ve been going to games, one of the most important aspects has been getting a chance to meet and become friends with some great people. 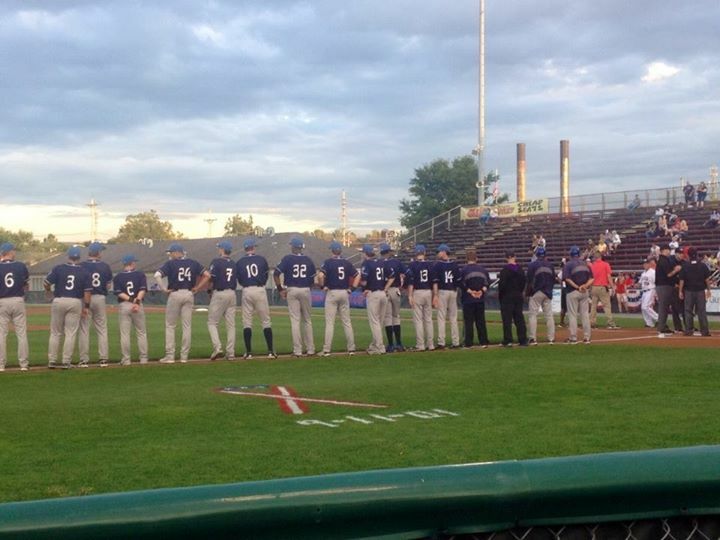 Unlike bigger sports franchises, Minor League Baseball provides an intimate atmosphere. I have gotten to know many season-ticket holders and fans on a first-name basis — or should I say on a nickname basis? One of my favorites is former season-ticket holder Michael Kendrick. (Or, as we liked to call him, “K Dad.”) Kendrick came to every game from 2005-13, and during this time he was responsible for hanging the strikeout “Ks” for the Chiefs pitchers. He also was known for his heckling of players, which he peppered with unique and obscure facts. He might mention a player’s interests outside of baseball, or call former Yankee prospect Shelly Duncan by his real name (it’s David). And then there’s Dave, who sits in section 207, row 1 at every single game (and many road games, too). While quiet in nature, Dave boasts a vast knowledge of not just Syracuse Chiefs baseball but also politics, social issues and other areas of sports history. And of course I have to mention Lloyd “The Suspect” Broadnax. We call Broadnax “the suspect” because of the catchphrase he uses while heckling the opposing team: “You’re not a prospect, you’re a suspect!” Broadnax doesn’t stop his heckling for even one minute during the game. The writer of this blog, Ben Hill, learned that this past season. Hill was trying to interview him, and during the interview Broadnax would only answer his questions in-between pitches. (That article can be found HERE). As if I didn’t already have enough reasons to love the Chiefs, management at the ball yard changed hands prior to the 2014 season. Jason Smorol was named general manager, and everything that I always said I would love to do if I owned a Minor League team came to life during his first season. Smorol brought an unmatched energy to the ballpark, introducing great games, promotions, deals and themes that made you not want to miss a single game. 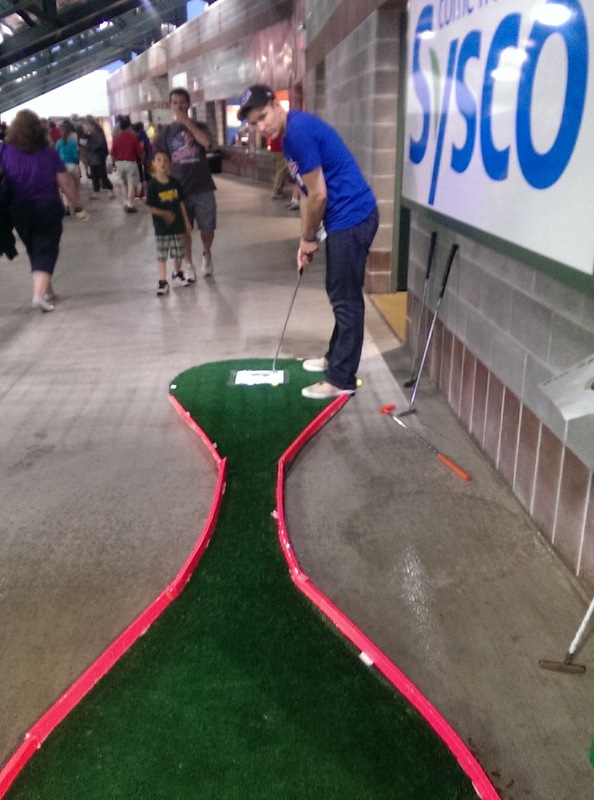 One night, during a rain delay, the Chiefs set up a free miniature golf course on the concourse. I mean, how cool is that? One promotion that I really became a part of was Tattoo Night. This promo offered me a chance at two great things: One, to get a free Syracuse Chiefs’ logo tattoo, courtesy of the Chiefs and sponsor Carmelo’s Ink City. Two, that very tattoo now grants me free admission for life to all Chiefs games. 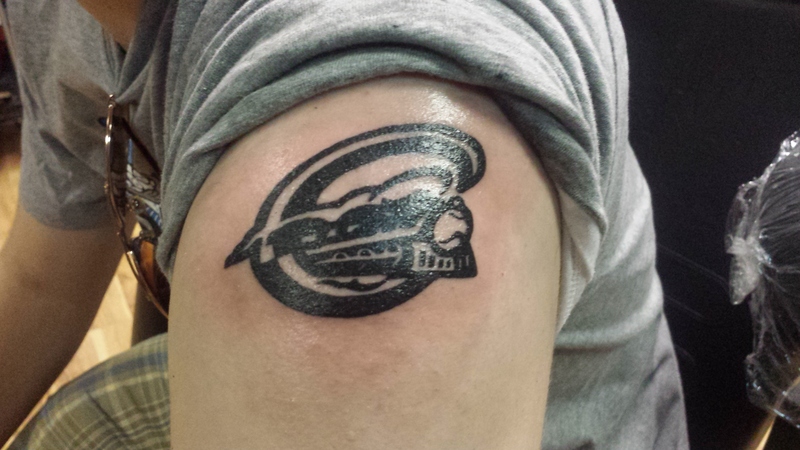 Regardless of the tattoo, the Chiefs are well worth the five dollar cost of admission. They have provided me with years of not just entertainment, but memories. Summer nights with friends, enjoying dollar hot dogs, talking about work and family, watching fireworks, laughing at monkeys dressed as cowboys riding dogs and even seeing things like a perfect game by Columbus Clipper Justin Germano and a four-homer game by the Chiefs’ Michael Aubrey. And last season I — and the whole city — was provided with a real chance to get excited. The Chiefs made it to the playoffs for the first time since 1998 and won their first division title since 1989. Being a fan of the Chiefs has also given me an opportunity to visit other great cities, simply by following the team. Day trips to Rochester, Scranton and even Cooperstown to see them play have allowed me to explore those cities. Shopping, zoos and landmarks lead to great day trips, which still cost under $100 for two people (including game tickets, gas and food). 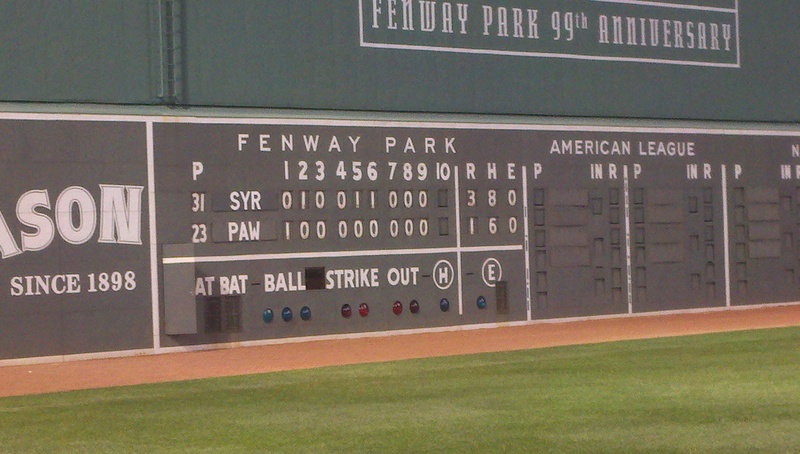 I even got a chance, in 2011, to watch the Chiefs play the Pawtucket Red Sox at Fenway Park in Boston. The seats we had would have cost $150 face value at a Red Sox game, but they only cost me $22 and that was for a doubleheader. The cuisine at any ballpark is great, superior to any other sports option in Syracuse. The Chiefs sell Hoffman’s Hot Dogs, a central New York staple, a dog so good that Hall of Fame coach Jim Boeheim and Hall of Fame quarterback Roger Staubach became investors. The Chiefs sell these hot dogs at the same price that it would cost you to make one at home and, on Thursdays, for even less than that. 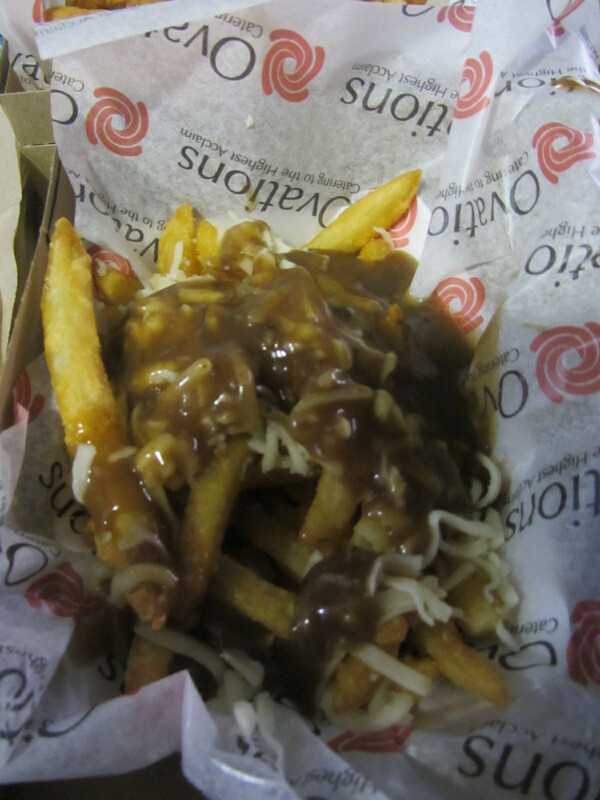 My love of all things Canada is satisfied with poutine, and there are also pulled pork sandwiches, salt potatoes (a New York specialty) and even a burger with a hot dog on top of it. I have recently changed my goals in life, from working as a correction officer to returning to school. I now want to work in sports, preferably Minor League Baseball, and it’s all thanks to the Chiefs. I love this team because they love me right back. Unlike at Yankee Stadium or Lambeau Field, there is something to be said for watching a sports team whose staff knows your name, whose ushers know your seat and whose players smile when they hear you say something funny. 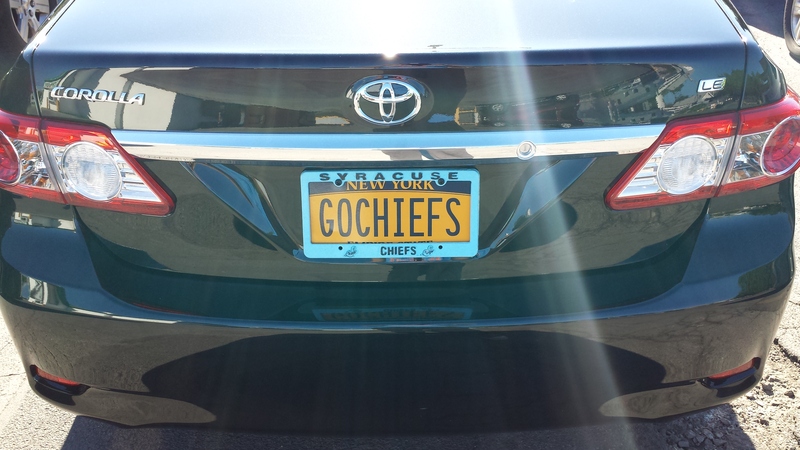 While other sports fans in New York may struggle to obtain custom license plates of their favorite teams — they’re all taken — GoChiefs was available for me as a way to show my pride. 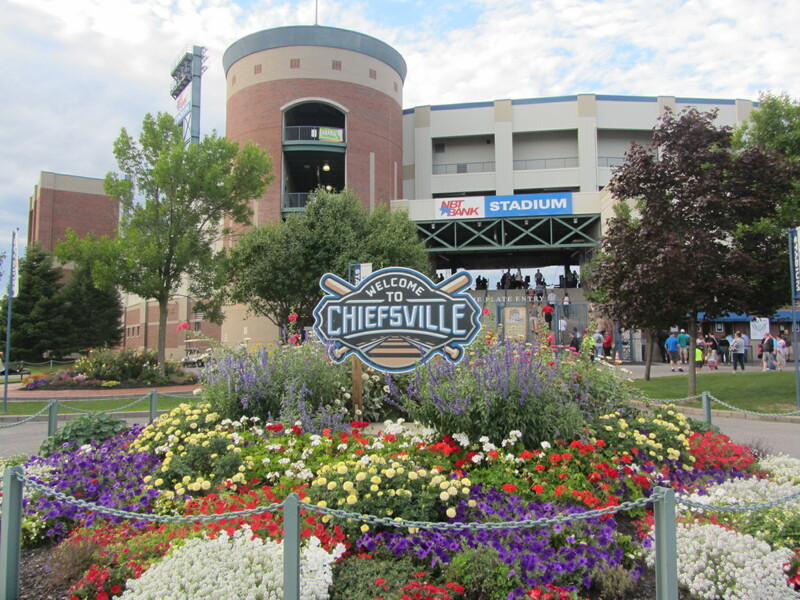 Summer is meant to be spent outdoors, and in central NY there is no cheaper or better option than the Syracuse Chiefs. It’s time for another “Why I Love” guest post, in which a Minor League fan explains what it is they love about their favorite team, and why. 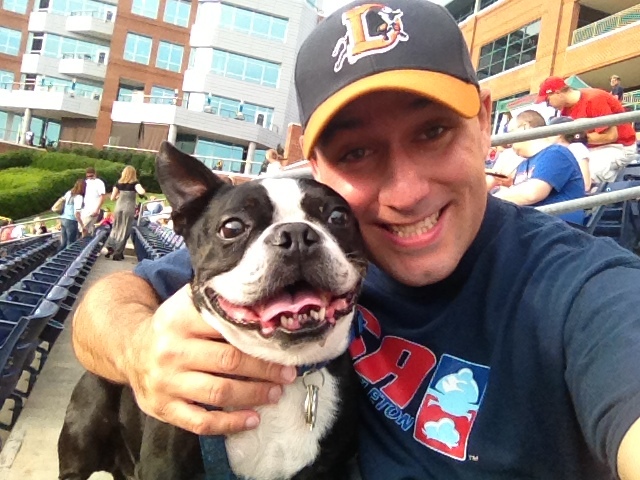 Today’s guest writer is Ken Childs, a proud resident of Durham, North Carolina and, therefore, a proud fan of the Durham Bulls. To see other “Why I Love” guest posts, click HERE. And If YOU would like to write a “Why I Love” post, email me at benjamin.hill@mlb.com. 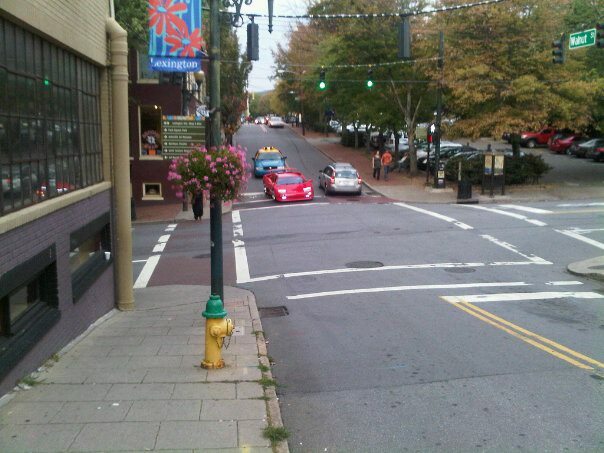 I’ve been a resident of the beautiful city of Durham, North Carolina my entire adult life. The city has transformed over the last 14 years from what was almost an afterthought of a place into a bustling center for local restaurants, shopping and the arts. 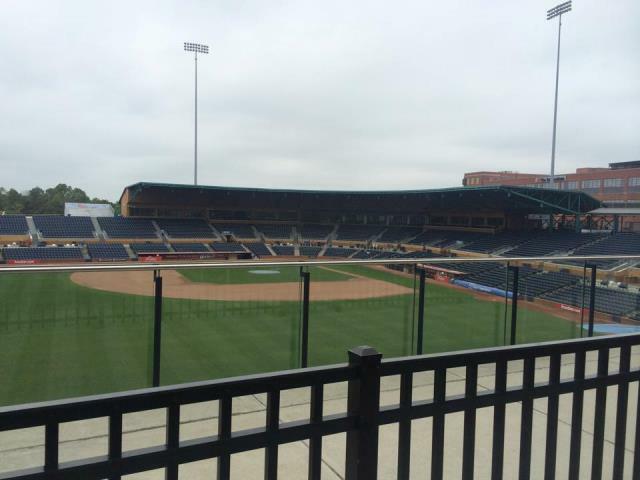 And in the middle of all that growth has been (and always will be) the Durham Bulls. You’ve probably heard the name: There was a little indie movie made about the Bulls in the 1980s that did okay. The players who have come through here have shaped the Major League Baseball landscape for quite some time. The Bulls have been a consistent model of how teams should be run, and that has been shown in their continual trips to the Governors’ Cup playoffs. The list of “what’s not to like” about the Bulls, their home of Durham Bulls Athletic Park (DBAP) and their organization as a whole wouldn’t be long enough to fill out an index card, let alone this space, so we’ll go with “what there is to like” and ramble on for a while all about it! 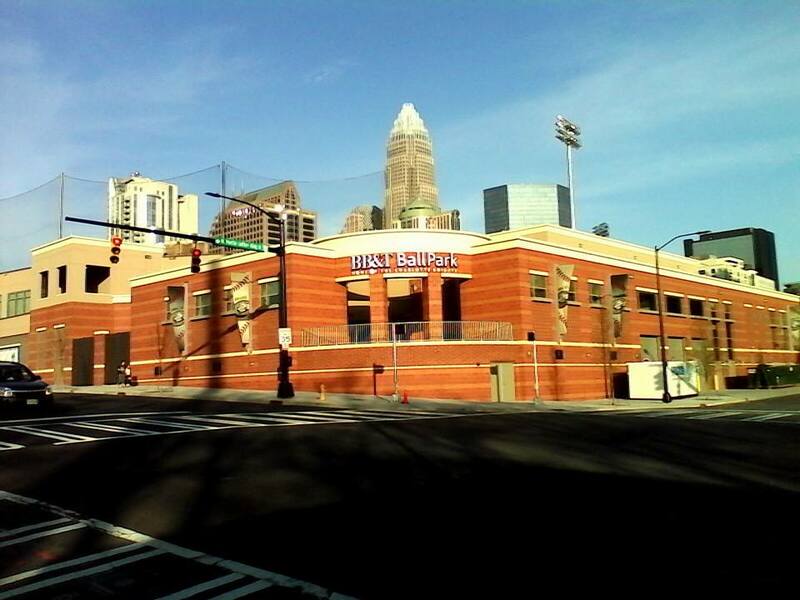 Durham Bulls Athletic Park, which opened in 1995, is considered “older” now, at least when compared to the Minor League Baseball building boom that’s come about over the last decade or so. Nonetheless, you likely won’t find a nicer stadium anywhere. On any given summer night, on the corner of Blackwell and Jackie Robinson, you’ll find families, friends, couples and desperately single guys alike settled in the beautiful 10,000 seat stadium to take in not only great baseball, but great entertainment in general. And the building itself is what those new stadiums aim to be. You want your Minor League park to be a smaller version of a Major League stadium, downtown, near lots of restaurants and things to do both before and after the game? The DBAP has long been that, before most new stadiums were even a glimmer in an architect’s eye. 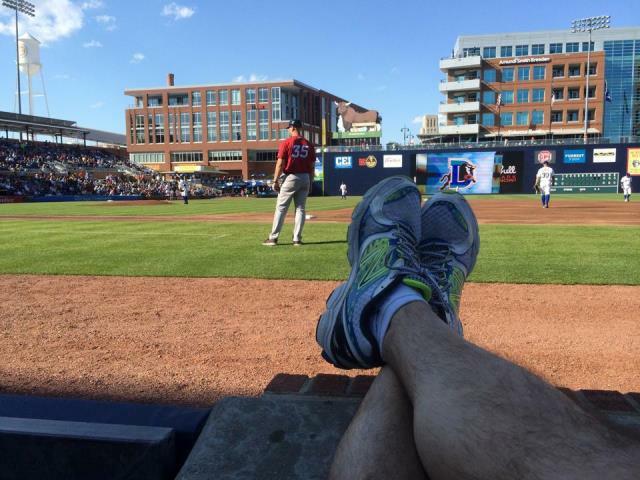 The DBAP has its own little quirks that make it like no other: There’s the bull (of Hit Bull, Win Steak fame), Jackie’s Landing (the nicest bar in Durham), the Blue Monster, the grass in the outfield entire families sit on to enjoy a game on a weekend evening and no other shortage of things that make it unique. 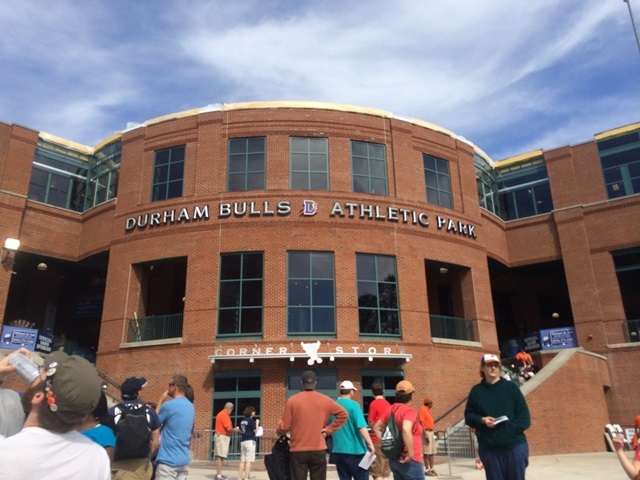 For a facility of its caliber, and a team of its caliber, the Durham Bulls are just about as budget-friendly as their mascot, Wool E Bull, is family-friendly (the “E” is short for “Education”…seriously). The Bulls offer dollar hot dog nights, the best fireworks show anywhere (your town’s 4th of July show pales in comparison, I promise) and lots of great coupons and deals to get in on the cheap. And, even if you don’t, the most expensive ticket in the place is $15. Admit it: in the past, you’ve spent a lot more on a lot less. 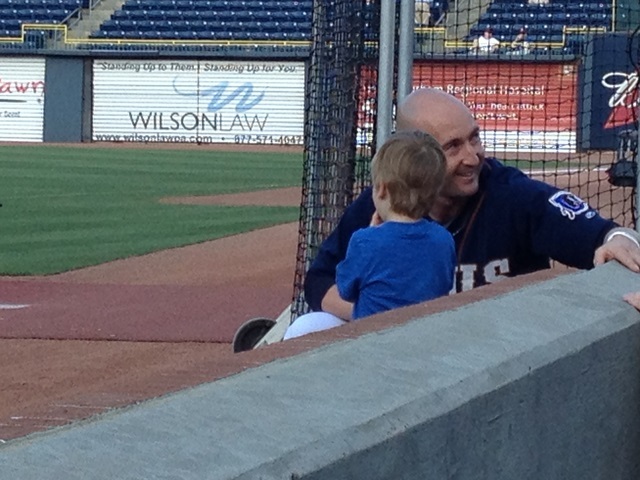 So that’s what there is to love, in general, about the Durham Bulls. Now, why do I love them? For starters, they’re my hometown team. At heart I’m a Chicago White Sox fan, and their Triple-A team is down the road in a lesser city in North Carolina playing in the same International League division. But when they come to town, you can only root for one team, and that’s going to be the hometown one (even if the Bulls are an affiliate of the Tampa Bay Rays). At heart I’m a “people person” kind of guy, and the Bulls’ entire staff are the same way. From Jatovi (the Bulls on-field announcer and master of ceremonies) to general manager Mike Birling and everyone in between, there’s not a single person who won’t go out of their way to help a fan make his or her experience amazing. I’m not a needy guy, but anytime I’ve ever had any issue with anything, there was someone there in a Bulls shirt to lend a hand. I’m also a sucker for food and cheeky events, and the Bulls have me covered that department as well. 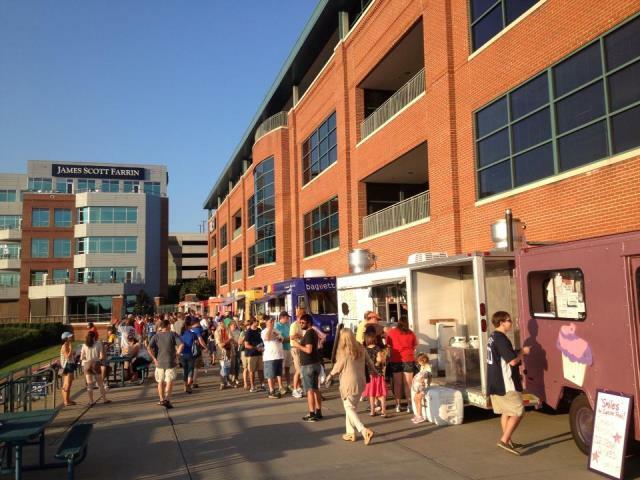 There’s Food Truck Rodeo night, where all of Durham’s best food trucks (and we have many) line up in right field. There’s craft beer night, ’80s night, ’90s night and the always popular Bark in the Park night. The concessions have everything from traditional ballpark food to taco stands to what is truly some of the best BBQ anywhere. So, whatever you’re in the mood for, DBAP most likely offers it. The on-field action is always great, but sometimes it’s that little extra fun in-between innings that makes the night special. And, of course, there’s the baseball itself. The roster is generally made up of outstanding players who are also outstanding people. Hardly ever do you see a player skip a chance to sign an autograph, grab a picture with a fan or flip an extra ball to a kid in the first few rows. Great players like David Price, Wil Myers, Chris Archer, Craig Albernaz, Desmond Jennings and so many more have spent substantial time here in Durham, and this has led to the knowledge that, at any given ballgame, you’re seeing the future of baseball right before your eyes. The Bulls are always in the hunt for the playoffs, and since moving to Durham in 2001 I’ve seen them win the International League championship four times. Baseball is always a little bit more fun when your team is winning, and that is rarely a problem here in Bull City. 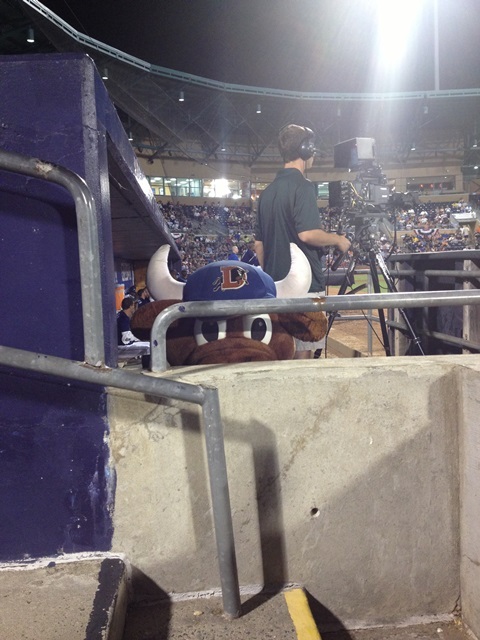 In short, there are a lot of baseball teams out there, but none are as great as the Durham Bulls. Candlesticks always make a nice gift, but Bulls tickets might be just a little bit nicer. Thanks to Ken for taking the time to write this and, again: If YOU would like to submit a post for this series, then send an email to the address below. 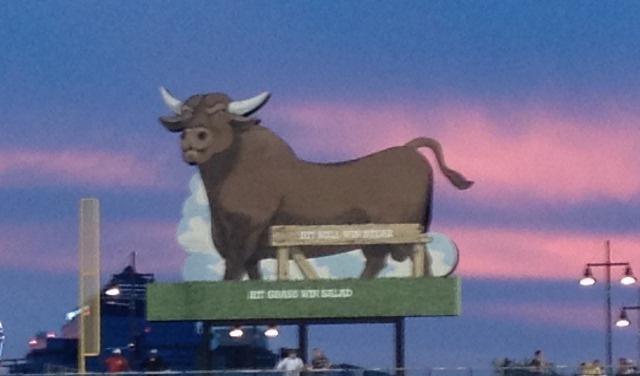 In the meantime, here’s my 2011 “On the Road” post detailing my Durham Bulls experience. 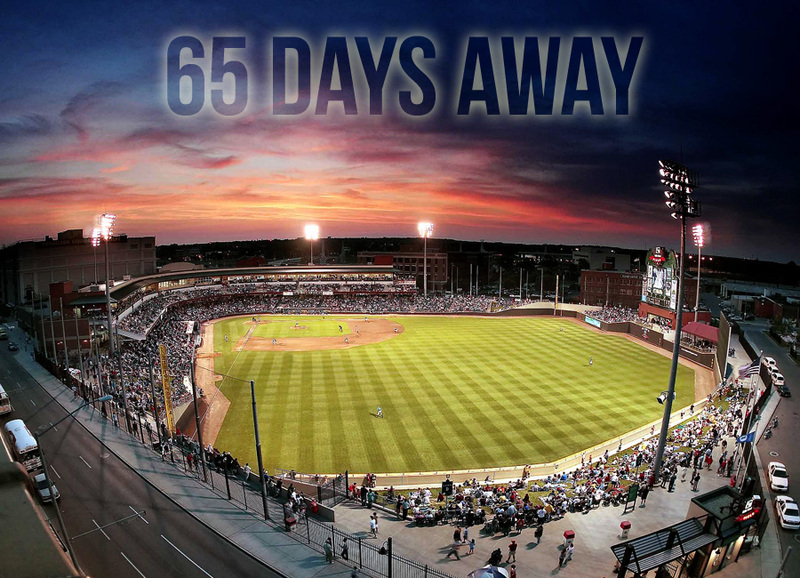 The thought of warm weather, freshly cut grass and nightly baseball games may seem remote at the moment but Lansing Lugnuts broadcaster (and author) Jesse Goldberg-Strassler is here to remind us Opening Day will soon be upon us. The skies were grim in Mudville, snow blanketing the ground. The wind was fierce and wicked and the flu was going ‘round. Mudvillians cared naught for this, nor for the NBA. The national pastime was still at rest, in the thick of the offseason. Hall of Fame debate dissipated; Opening Day was being planned. Mighty Casey choked the game away, leaving two ducks on the pond. A first-rate fireballer costing over $200 mill. Projecting 42 roundtrippers (not to mention solid WAR). Two traitors chasing paychecks; too bad they’ll never win. Mighty Casey modestly proclaimed, with no hint of a sneer. As if the ice were gopher balls, being blasted out of sight. It swept through the school halls, it echoed in the street. One grandmother proudly printed it and shared it with her fam. Thanks to Jesse Goldberg-Strassler for sharing his work, and thank you for reading it. Regular Ben’s Biz Blog programming will resume shortly. It’s time for another “Why I Love” guest post, in which a Minor League fan explains what it is they love about their favorite team and why. 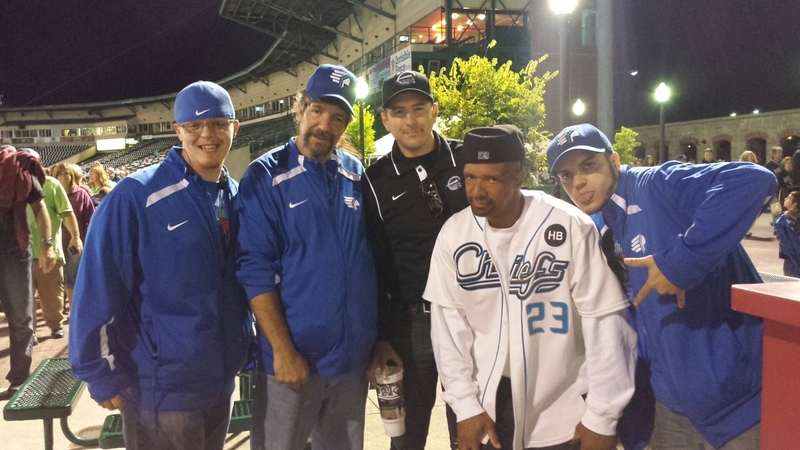 Today’s guest writer is LaMichael Mitchell, a die-hard fan of Charlotte sports in general and the Charlotte Knights in particular. When you think of sports in Charlotte, North Carolina, what comes to mind? For many of us, it’s the NFL’s Carolina Panthers, who are coming off of a playoff appearance. There are also the NBA’s Charlotte Hornets, who are once again using the Hornets name after a 12-year absence, as well as college basketball. 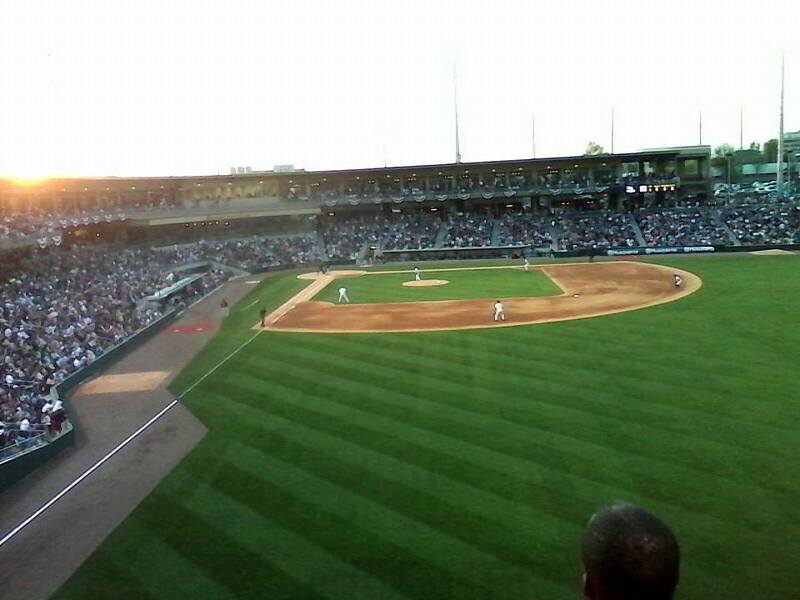 But for me, a die-hard Charlotte sports fan, it’s all about spending summer evenings catching a baseball game inside the warm confines of BB&T Ballpark in uptown Charlotte, cheering on my beloved Charlotte Knights. Back when I was just 10 years old, in 1994, my parents used to take me to Knights games when they played down in Fort Mill, South Carolina. The team’s home in those days was Knights Stadium, and it was there that I learned about the one thing that I love to do when coming to a game: keeping score. That is something that I still do to this very day. Like many Knights fans, I spent several seasons hoping and wondering: Would the Knights finally come back to a ballpark located within Charlotte city limits? We have a rich and storied baseball heritage here, as Knights alumni include Harmon Killebrew, Tony Oliva, Cal Ripken, Jr., Jim Thome and Manny Ramirez. That dream became a reality in 2014, when we finally saw our team return to its rightful home in Charlotte. 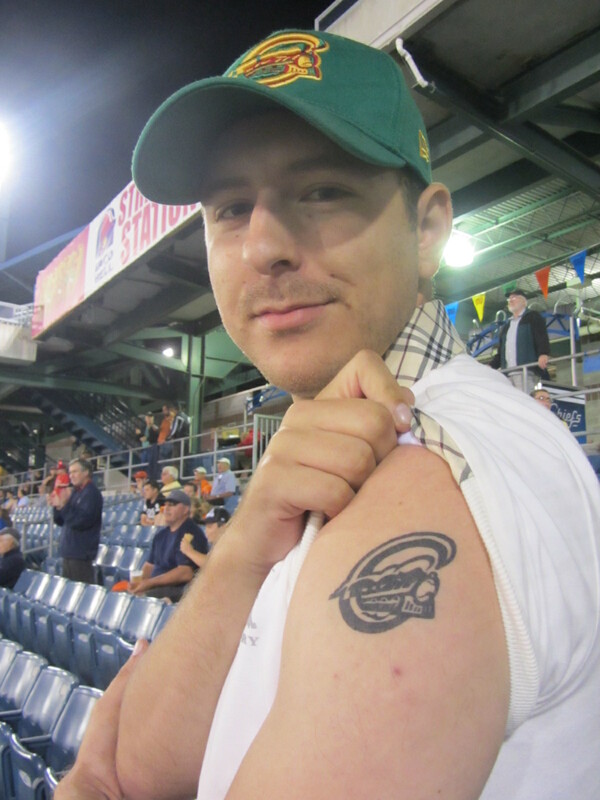 I was there for the Opening Night of BB&T Ballpark, in April of last year, and the experience was truly electrifying. Even though the Knights lost in extra innings to the Norfolk Tides, I still had a fun time witnessing a new chapter in Charlotte baseball history. Whenever I attend a game at BB&T Ballpark, I feel welcomed by a warm and friendly staff that is passionate about making the experience at the ballpark fun. This is certainly true of media relations director Tommy “The V” Viola, and also includes the man that made it all happen for the Knights to return home to Charlotte, COO Dan Rajkowski. 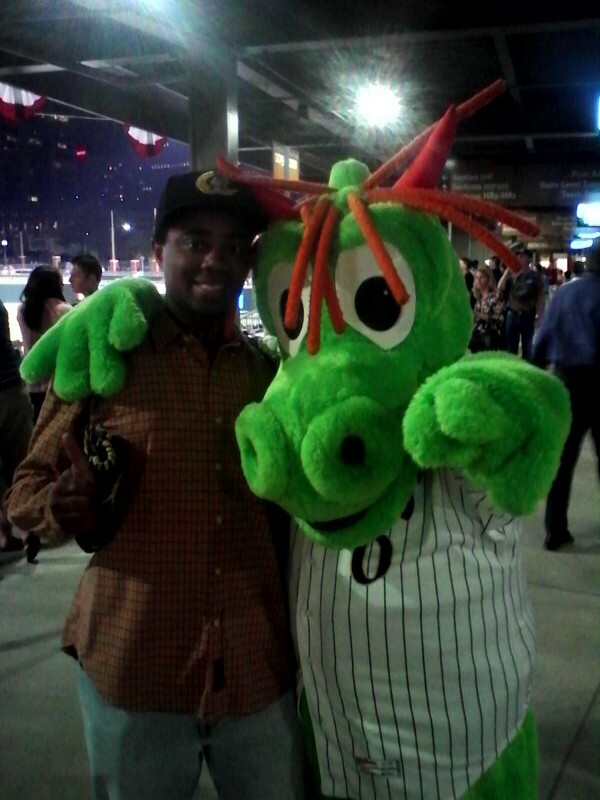 And I can’t forget Homer the Dragon, as he makes the experience of attending a Charlotte Knights game at BB&T Ballpark fun for kids of all ages. Along with everything else that I mentioned, I can’t forget about the views. The Charlotte skyline is visible from just about anywhere you sit in the ballpark. I usually choose the seats in left field, where the Charlotte Panthers’ home of Bank of America Stadium can be seen in the distance. The view from right field isn’t too bad, either. Baseball in Charlotte has truly been a way of life for over 100 years. With the recent success of BB&T Ballpark in its record-setting inaugural season, it is no wonder why I love coming to a Knights game. The experience is out of this world. If you’re from in and around the Charlotte area, or if you’re planning to make a visit here during the summer, I would like you to check out a Charlotte Knights game at BB&T Ballpark. Once you attend a game, then you will see for yourself that it’s a great way to enjoy a warm summer night here in Charlotte. Thanks to LaMichael for taking the time to write this and, again: if YOU would like to submit a post for this series, then send an email to the address below. 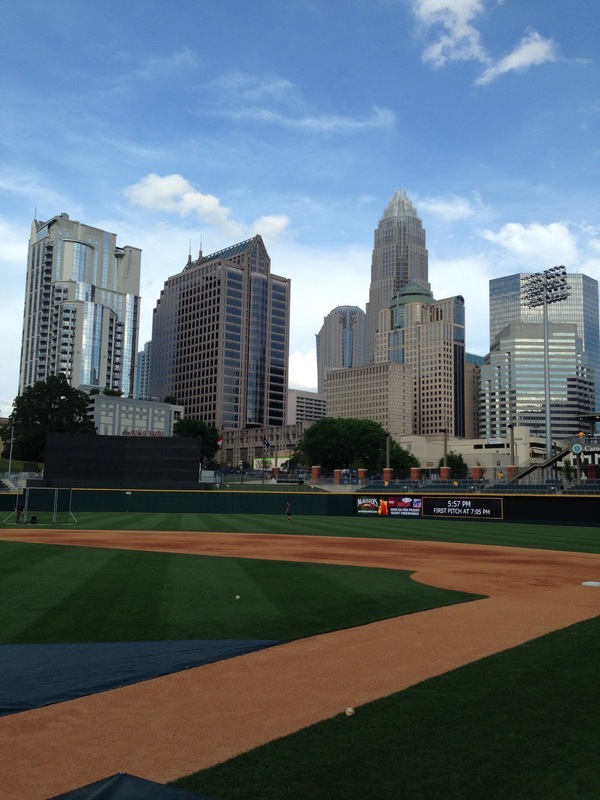 In the meantime, here’s my “On the Road” post detailing my Charlotte Knights experience during the 2014 season.